On Monday, in the House of Commons, MPs voted unanimously to introduce a year-long trial for proxy voting. This pilot scheme, to change parliamentary procedures, will mean that proxy voting will be available to parents. 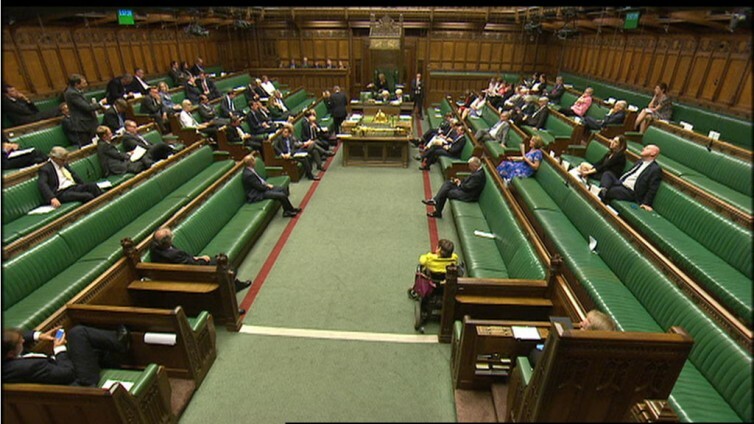 Until this decision, MPs who wished to vote, had to do so in person, in the House of Commons. Pairing, where an MP is paired with a member of the opposition, was the only way for MPs to avoid attendance but it simply leads to a recorded abstention. The issue has been highlighted in recent months after a number of MPs, including heavily pregnant and new mums, have been forced to attend Parliament to vote. This trial will mean that those eligible for a proxy vote will be able to nominate another MP to vote on their behalf. The only time proxy voting will not be eligible is if there is a vote to trigger an election under the fixed-term Parliament Act. Monday night’s vote means that women who have had a baby, or are the primary carer of a newly-adopted child, will be eligible for proxy voting for six months. The biological father of a baby, the partner of the person giving birth, or the second adopter of a child or baby, will be eligible for a proxy vote for two weeks. During the debate, an amendment was passed that means mothers who have recently suffered a miscarriage will also be eligible. I welcome these changes as it means that MPs in these positions will not have to rely on the pairing system and be under pressure to come to Parliament to vote. I think this change will make Parliament a more modern place to work and help attract people of all ages to become MPs. Proxy voting may have some downsides, but so does the current system. MPs and their constituents should not be disenfranchised due to pregnancy, so it is a positive change to have to our parliamentary procedures.